New Albany’s history contains a very important chapter about Les Wexner and Jack Kessler visiting Europe to obtain ideas about livable and walkable civic design. That international influence can be seen in the Georgian architecture, the town center and New Albany walking paths, and it even extends to New Albany events. 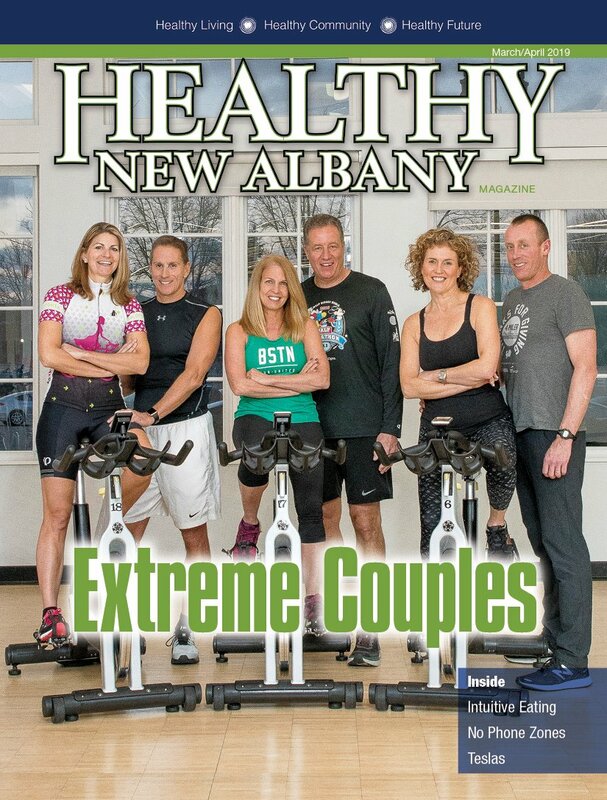 While many New Albany residents annually attend the New Albany Classic Invitational Grand Prix and the New Albany Walking Classic, the participation extends statewide, countrywide and even internationally. The Walking Classic is the largest walking-only race in the country. Now in its 11th year, the event includes two courses, a 10K and a half marathon, and the participation for the regularly sold-out event is capped at 4,000 walkers. While over 20 percent of the walkers in the Walking Classic can roll out of bed and walk from the front doors of their homes to the starting line of the race, there are also walkers who may be suffering from jet lag after arriving from countries such as Germany and the United Kingdom for the race. Canada also has a strong representation in the event. Kristin Ferguson, the race’s marketing director, knows the geographic diversity of the participation is growing. One of the pillars of the Walking Classic, the New Albany Walking Club, takes its members to events around the country and the globe, from Florida to the Great Wall of China, and touts the virtues of the Walking Classic along the way. It also doesn’t hurt to have three Walking Classic participants who are Walking Club members achieve incredible success at the Ohio Senior Olympics. This year, Dave Ridenour placed first in the men’s 1,500-meter race walk, Rena Ridenour placed first in the women’s 1,500-meter race walk and Neal Eiber placed second in the men’s 1,500-meter race walk. In addition to rising international participation, the Walking Classic draws participants from all over Ohio and the United States. In all, walkers come from 250 different ZIP codes, proving that while the event may feel very local here in 43054, many of the participants may be seeing our white fences for the very first time. Over 200 of the walkers, roughly 6 percent, come from out of state, and over 2,500 walkers come from places in Ohio other than New Albany. None of this discounts the local fervor for the event, though. “There is a lot of local pride for the event because it brings positive attention to our community from outside our city,” Ferguson says. New Albany Classic Invitational Grand Prix. Now in its 18th year, the equestrian event takes place in conjunction with Family Day on the grounds of Leslie and Abigail Wexner’s home in New Albany. Abigail founded the event in 1998 as a fundraiser to support the Center for Family Safety and Healing and family violence initiatives, and the 2014 event drew over 18,000 attendees. The riders in the equestrian show jumping event are invited each year based on the top 20 ranked riders on the Federation Equestre Internationale (FEI) list. There are 10 additional spots for up-and-coming riders outside of the top 20, so that means national and international representation in the event can vary from year to year. “Over the years, international riders have hailed from Argentina, Belgium, Canada, Columbia, France, Germany, Ireland, New Zealand and Venezuela,” Abigail Wexner says. While the fans cheer for all the riders, one group of international participants seems to get a little more attention than the others. The Authentic Cup is the perpetual trophy the Classic winner receives. Perpetual trophies are held by the winner until the next event, when the winner must compete again in order to keep the trophy. The riders who receive the biggest cheers are the U.S Olympic riders, of whom many have participated in the Classic over the years, including Beezie Madden, McLain Ward, Margie Engle and Leslie Howard. Wexner notes that even the U.S. riders have a bit of international flair, though, because it is likely that their show jumping horses were bred in and imported from Europe. The Classic’s reputation and quality have contributed to it being named the No. 1 specialty equestrian event in the country by the North American Riders Group. Bob Valasek is a contributing writer. Feedback welcome at ssole@cityscenemediagroup.com.